Let’s all get real here – biryani is absolute bae and dreams do come true! There’s a biryani festival happening and we can’t keep calm. 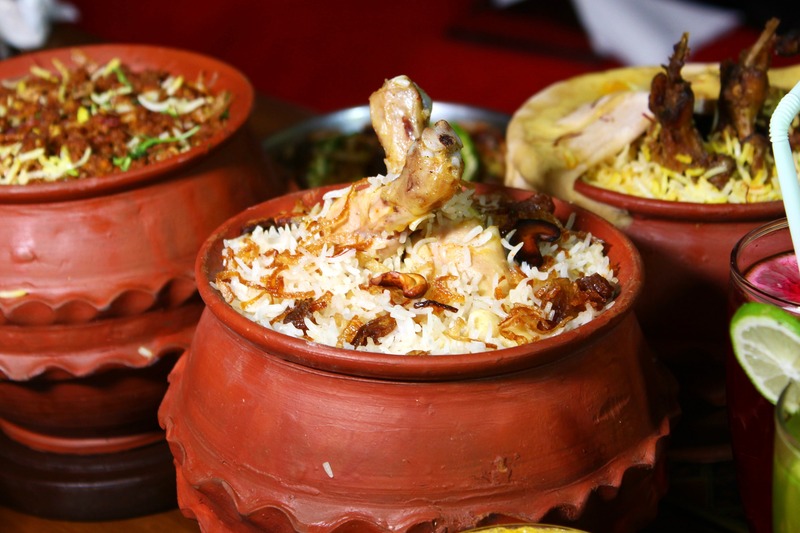 The festival at Oudh features a whopping 12 kinds of biryani on its menu. Whether it’s the peak summer heat bothering us, the chilly winter breeze or the muddy monsoons, biryani is soul food and has captured all our hearts. So we couldn’t contain our excitement when we learnt that Oudh 1590 is hosting a biryani festival. It starts today, June 8. And the chefs have lined up as many as 12 different kinds for you to choose from! Murgh, kheema, fish, duck, paneer, mawa koftas, this festival has every kind of biryani imaginable. Try the Shahi Hansa, Ghost Yakhni, Jheenga Moti, and even Kheema Khichdi! Sounds bizarre right? Well, this combination is a crowd favourite, full of flavour and will change the definition of boring khichdi for you (INR 375). A seafood lover’s delight, the Mahi Kofta Biriyani has just the right amount of spice, the soft bhetki served with mashed potato and the aromatic rice will keep you wanting more (INR 410). Ever tasted biryani with a side of duck? Try their Hansa Biriyani. Cooked with the perfect blend of spices, paneer and mawa-koftas, The Sugandhi Kofta Biriyani (INR 300) is what vegetarians could opt for. You could also go for the Subz Yakhni Biriyani (INR 300), with soft chunks of paneer and soya. This festival is going on in all three outlets. Cost for two: INR 800. They are yet to decide when this festival comes to an end, so go and get your fill while you can! Fancy Traditional & Authentic Awadhi Dishes? Oudh 1590 Has Recently Opened An Outlet In Southern Avenue!